When sharks spot their prey, they circle the unsuspecting target, waiting for the perfect time to strike. They can taste the blood from their victim and know when it’s ripe for the taking. Sharks are the most dangerous predators of the ocean. People consider California Highway Patrol to be the sharks of the highway. In fact, they’re predatorial strategy is just one of the many myths behind Highway Patrol. They’re not sharks. Highway officers are making the roads a safe place to drive for everyone. They don’t have a vendetta against anyone or anything, unless it’s reckless, unsafe driving. You just passed the best online traffic school California has to offer. So, let’s pull back the curtain on the officers who are patrolling the highways around your home state. Here’s the truth behind the California Highway Patrol. Whether you’re driving down the PCH or taking I-10 through the desert, you’ll pass by Highway Patrol at some point. They have various responsibilities, but the overall purpose of their existence is to help make the roads safe. 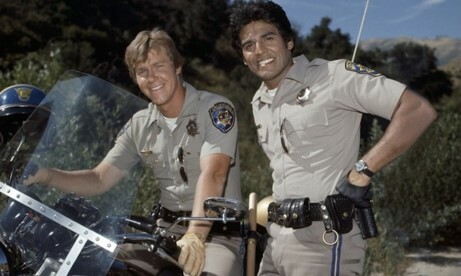 If we’re going back to our perfect ocean metaphor, Highway Patrol officers are more like the dolphins of the highways. Dolphins are the helpful, nice mammals of the ocean, right? Right. When there’s a roadside emergency, traffic incident, or other high-stress situations, Highway Patrol officers come to support and aide where necessary. They’re here to help. That’s why it’s usually wise to call for Highway Patrol when you’re experiencing roadside trauma. They also play a large hand in removing drivers, who may be under the influence of a substance, off the roads. They enforce the laws of the road. Reckless drivers, whether they’re drinking and driving, speeding, or driving sporadically and recklessly, Highway Patrol is there to investigate the situation. They want to keep highways safe. Well, along with their primary education, all California Highway Patrol officers must go through post-secondary schooling. This includes courses and degrees in criminal justice, police justice, and law enforcement. To add, officers are required to undergo rigorous physical training and testing, as well as personality tests. When it comes to enforcing the laws, California is looking for the best of the best. Even after being accepted into the department, Highway Patrol recruits must attend month long training programs and gain experience working in state police departments. They’re not just patrolling the highways, they’re educating the community. Highway Patrol officers take on the responsibility of making appearances around your community to help educate children, driving students, and others. They’re goal is to reduce the number of reckless drivers on the road. A big part of this is by engaging the community. Whether it’s getting to know the drivers themselves or giving talks on the dangers of driving recklessly in high schools, Highway Patrol officers want to protect the communities they serve. Uh-oh. Your car is parked on the right side of the highway. You’re holding a ticket that reads “driving violation” that was just handed to you by a California Highway Patrol officer. You’re coming down from a head rush after seeing those lights flash up in your rearview mirror, and your stomach can’t sink any lower. Well, you’re in luck. Traffic school is a great way to reduce the money you have to pay for high ticket costs. You can enroll in a online traffic school for your california speeding ticket and get a price reduction by proving you’re a safe driver. Myimprov.com offers traffic school classes to show everyone that you too can be a defensive driver.